Masahide Iioka learned his craft from the best, and we get a closer look at his art and career. Iioka has been a staple of Pink films for years, and has shot a number of films with director Daisuke Goto. Also, he's shot over 100 Pink films in all! Iioka talks in this featurette about how he go into the industry and learned his craft, and goes into detail over the overall strategy of lighting and shooting A Lonely Cow Weeps at Dawn. In this exclusive video, director Yukio Kitazawa discusses Pink Films and his experiences creating the Sci-Fi extravaganza of Deep Contact under the strict financial and time constraints of the Pink Film Genre. This video was originally released as a bonus featurette on the DVD of the film DEEP CONTACT. 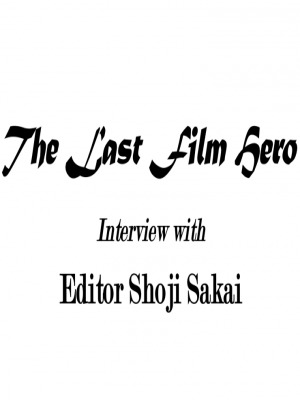 Shoji Sakai, editor of Milk the Maid, has cut more than 1000 Pink films in his career! 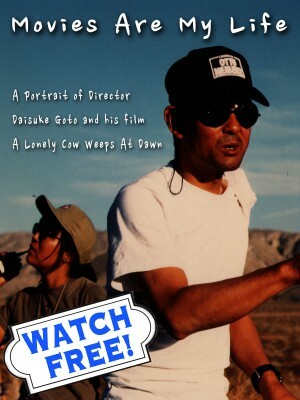 A portrait of director Daisuke Goto and his film A Lonely Cow Weeps at Dawn. Mr. Pink, Yutaka Ikejima, talks about producing the film A Lonely Cow Weeps at Dawn.